“Harsh” US-Russia trade sanctions: a risk to European trade? “Harsh” US-Russia trade sanctions: a risk to European trade? Uncertainty over the latest “harsh” US sanctions on a number of major Russian producers is unsettling trade financiers. Analysts say that, given the increase in the regulatory risk, the premium for doing business with Russia is likely to rise. In response to US sanctions on 14 companies and 24 high-profile Russian individuals in place from April 6, Moscow this week mulls blocking US participation in its aerospace and nuclear energy trade. Then, on Sunday April 15, US ambassador to the United Nations Nikki Haley announced further sanctions on Russian producers pegged with profiting from Syrian President Bashar al-Assad ’s “malign activity”. Just over a day later, the White House officially contradicted Haley’s statement, saying President Donald Trump would not be imposing further punitive measures after all. Tensions show no signs of abating – despite the White House’s U-turn. 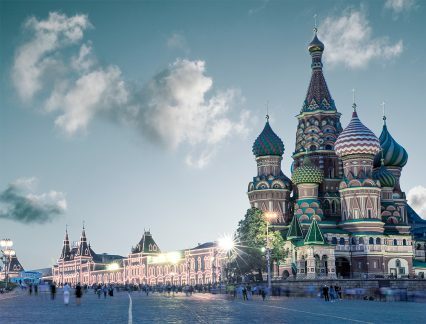 Economic commentators tell GTR that it is the drastic and haphazard way in which Russian sanctions are imposed which is deterring foreign investors. One commodities banker tells GTR that any introduction of new sanctions prompts immediate caution and financial institutions are loath to enter into guesswork over the direction of future trade restrictions. “At the moment, of course, no bank has any appetite to do anything other than comply with all rules to which they are subject,” says the financier, who wished not to be named. For trade finance professionals, the concern lies in the increased riskiness of Russian companies as trade partners amid the US administration’s seemingly scattergun implementation of sanctions. “The unpredictability in itself is damaging,” she says. She believes that the measures taken on April 6 are “particularly harsh” and “unexpected” in taking aim at businesses not usually associated with the Kremlin, such as Swiss engineering firm Sulzer. “It shows you don’t have to be in the inner circle to be targeted,” Gevorgyan explains. Richard Wellings, deputy research director at the Institute for Economic Affairs, believes further US trade sanctions on Russia are likely to materialise. This could pose some issues for energy commodity trade in Europe, in particular given that EU environmental policy has tipped countries away from coal and towards “a dash for gas”, Wellings explains. Oil and gas are Europe’s main imports from Russia: Gazprom, which was sanctioned on April 6, supplies over a third of the European Union’s gas. Qatari liquefied natural gas (LNG) could be an alternative energy source for Western Europe if Russian gas flows slow, according to the economist – it is already imported into the UK. Yet this commodity is less amenable to the Central and Eastern Europe energy markets, as these countries have “fixed infrastructure” pushing up the expense of potential LNG adoption. The UK’s dependency on gas from Russia “gives both sides a stake in keeping relations on a fairly civilised footing”, Wellings explains, saying there is little incentive for the UK to replicate US sanctions. “There’s too much to lose on both sides,” he says. No such incentive emerges for a protectionist “America first” US president. As Gevorgyan puts it, “the US doesn’t have much to lose”, whereas Europe and the UK have much closer trade ties to Russia.